The New York City Department of Education (DOE) provides breakfast and lunch daily. Students do not have to pay for either, but parents are still asked to complete the school meals form so that the school can get access to funding for this program. Click HERE for the MS54 SchoolFood Breakfast menu and Click HERE for the MS54 SchoolFood Express Breakfast menu. The cafeteria opens for breakfast Monday, Wednesday and Friday at 8:15 a.m., Tuesday and Thursday at 7:45 a.m.
Click HERE for the MS54 SchoolFood Lunch menu. Please note that changes to the posted daily menus may be made on a day-to-day basis by the school dietician. 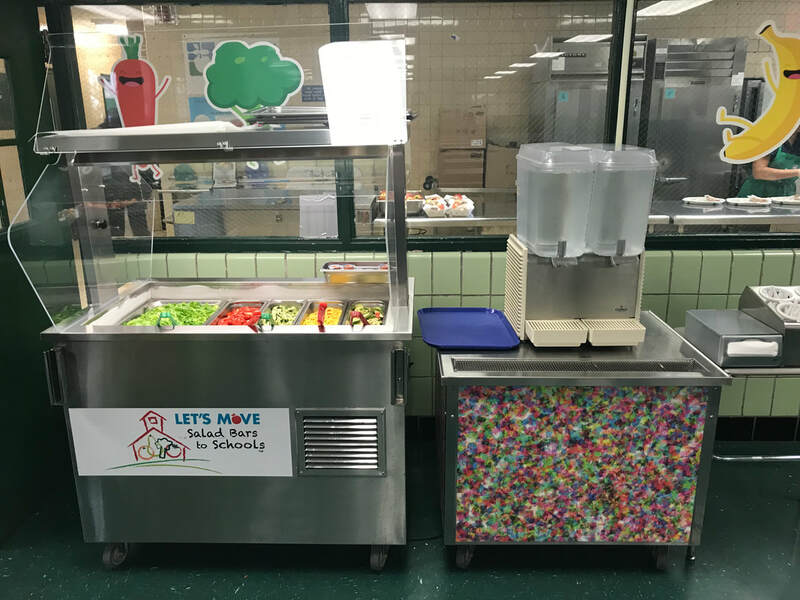 All food served in the cafeteria is provided under the direction of the Department of Education's Office of SchoolFood. For additional SchoolFood information, click here.